This easy homemade farmer cheese is rich, creamy, lovely, and like a poor man’s (or shall we say, lazy man’s) homemade ricotta. 1. Pour the milk, cream, and salt into a 3-quart (2.8-liter) stainless steel saucepan, place it over medium heat, and warm the milk to 190°F (88°C), stirring occasionally to keep it from scorching on the bottom. This could take up to 15 minutes or so. Watch the temperature carefully, as it will increase dramatically all of a sudden towards the very end. 2. Remove the pan from the heat and add the lemon juice, slowly stirring once or twice. Let the pot sit for 5 minutes. Do not stir the mixture during this time. It will separate into very small curds and some watery whey. 3. Line a sieve with cheesecloth and place it over a large bowl. Pour the curds and whey into the sieve and let it strain at room temperature for at least 1 hour. 4. Discard the drained liquid or reserve it for another use. 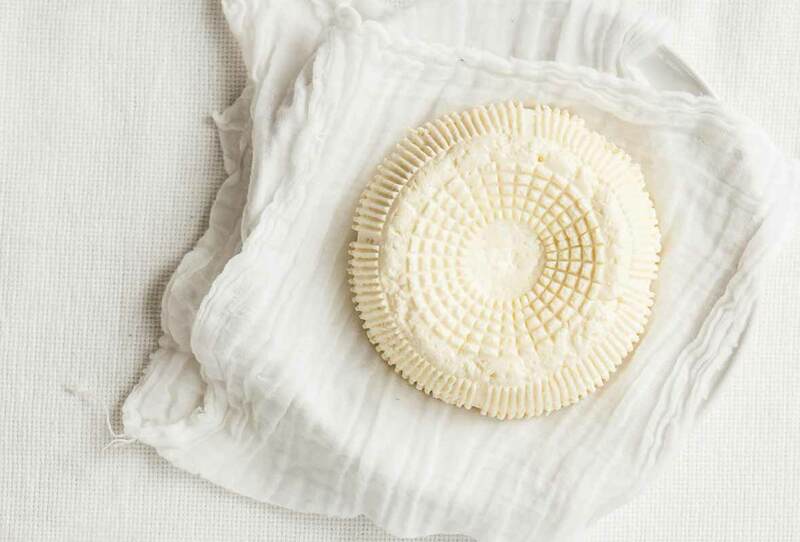 Remove the farmer cheese from the strainer and, if desired, gently press it into a decorative mold (as you see in the stunning photo at the top of this page). Cover and refrigerate for at least 1 hour to help the cheese firm slightly. Eat the farmer cheese right away or transfer to an airtight container and stash it in the fridge for up to 1 week. 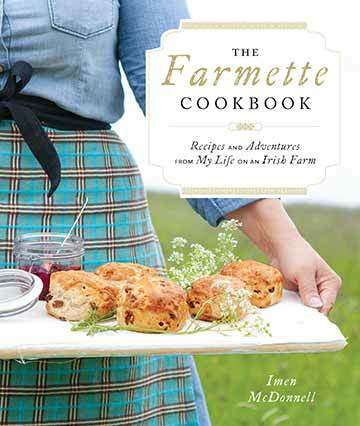 Farmer Cheese Recipe © 2016 Imen McDonnell. Photo © 2016 Imen McDonnell. All rights reserved. All recipes and photos used with permission of the publisher.